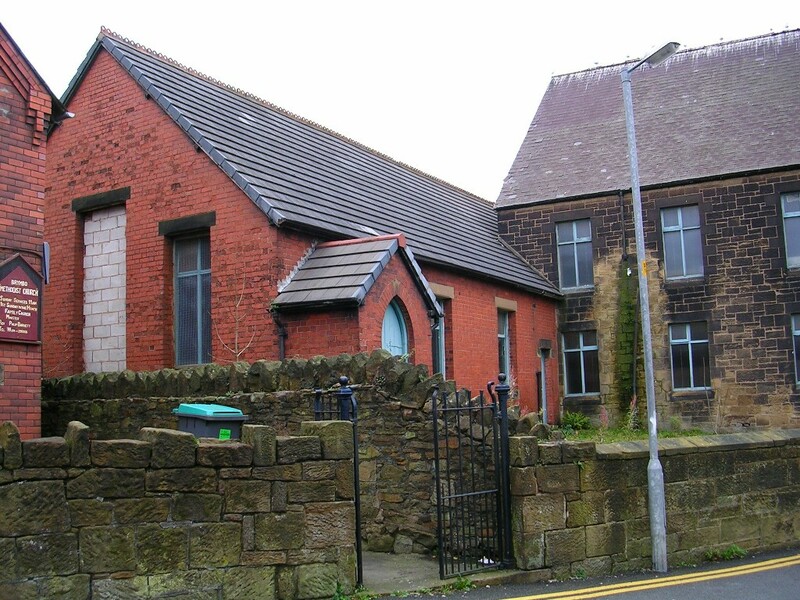 Edward Rogers and William Hughes, of Adwy, established what is believed to have been the first Sunday school in Brymbo district when they introduced Welsh Calvinistic Methodism to the village in 1818. 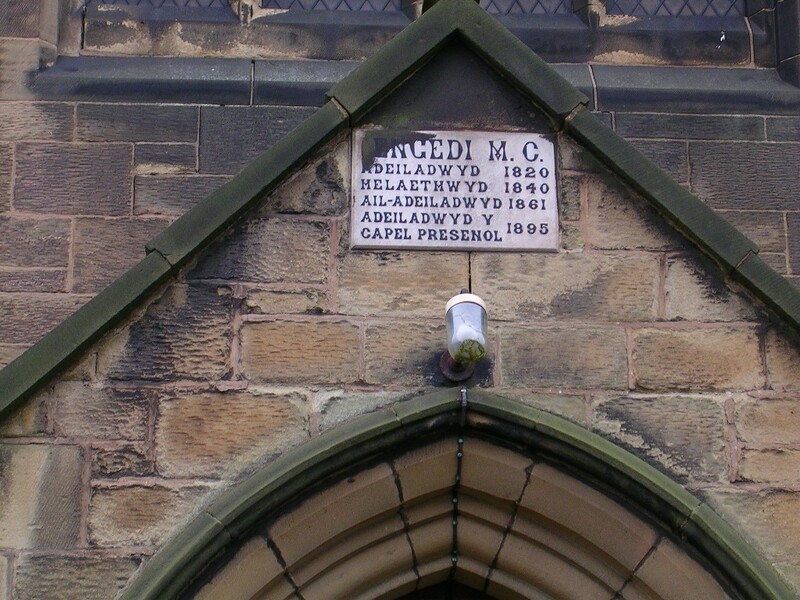 These services were conducted in the home of Mali Davies in one of the houses situated behind the present Chapel and which were then known as Rhes-pen-y-graig later called the Long Row. 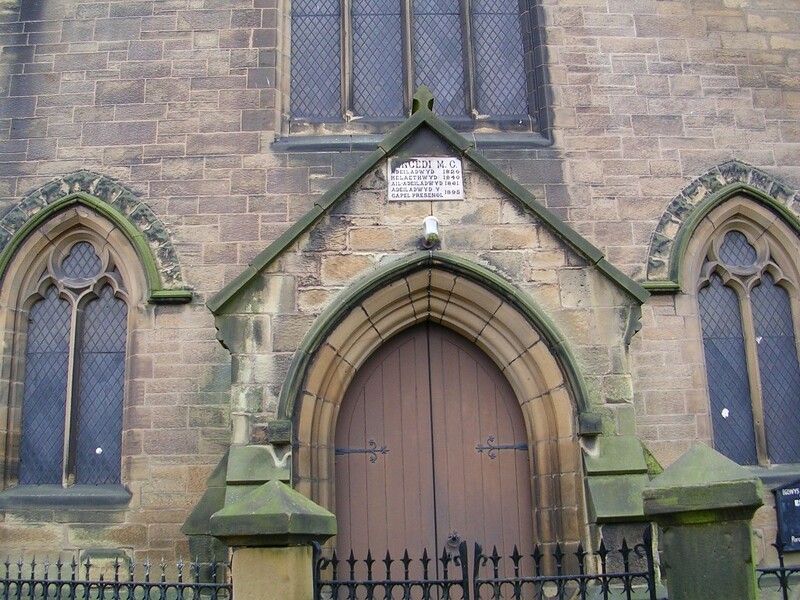 These services proved such a success that it was decided to build a Chapel and the first part of this edifice was completed in 1820 on the land where the present Chapel is situated. 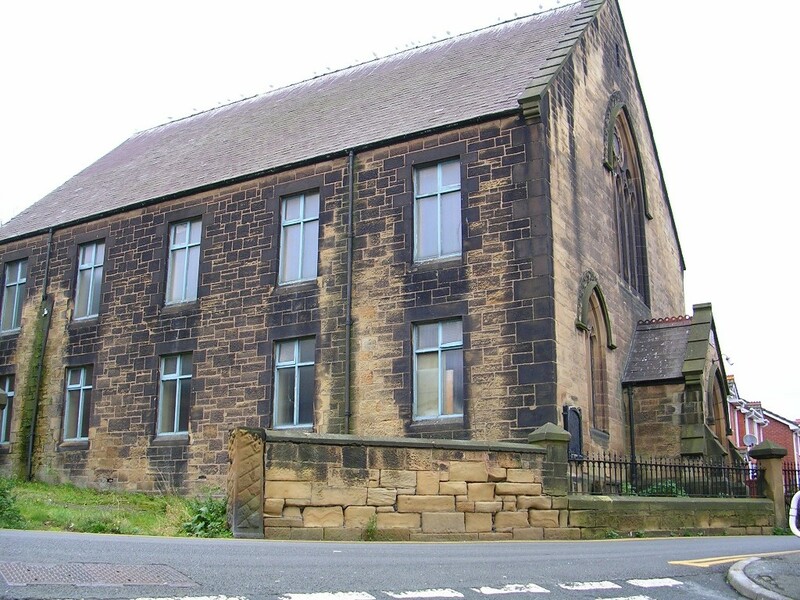 In 1861 the Chapel was extended and in 1895 was re-built, along with the Schoolroom and other required buildings, also a center-place to accommodate the organ. 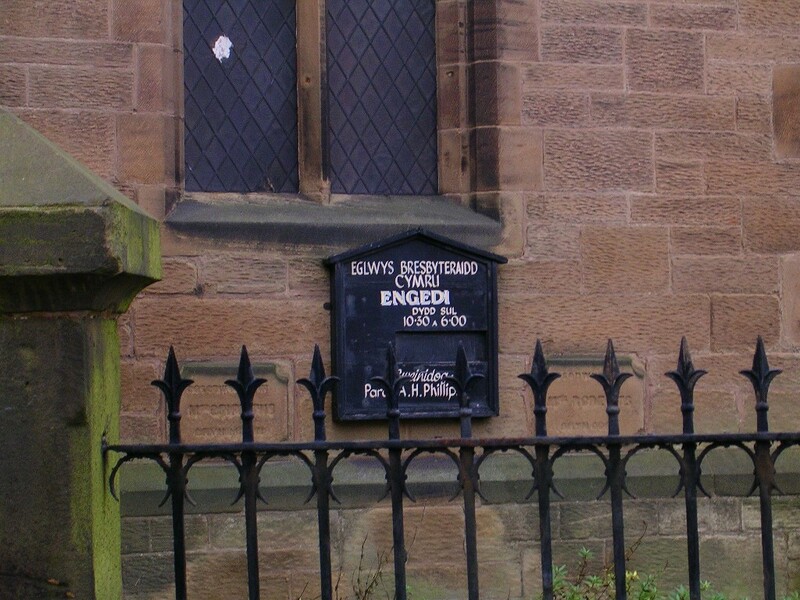 John Jones, Thomas Owen, Jonathan Judd, Tbenezer Jones, Robert Griffiths (Lixwm), Edward Roberts, O. T. Williams, William Williams, J. H. Williams, Richard Hughes, David Lewis, D. J. Owen, Cledwyn Griffith and A. H. Phillips, the present Minister. 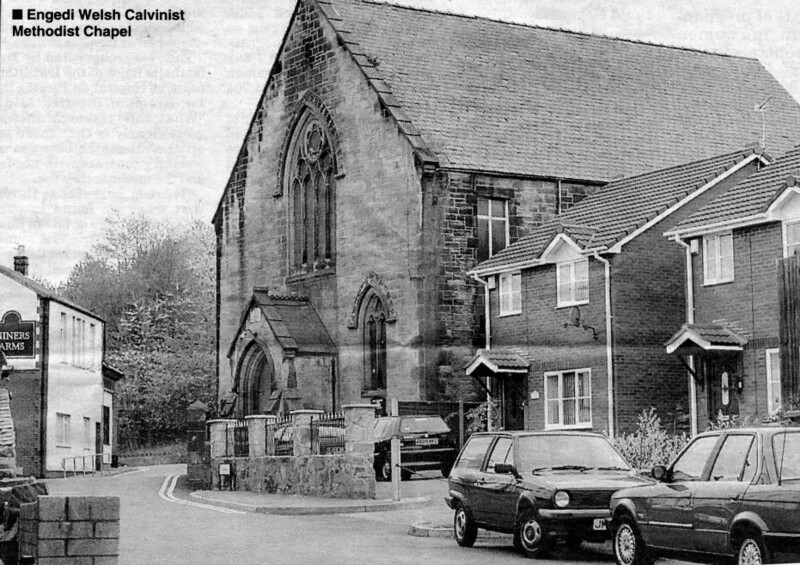 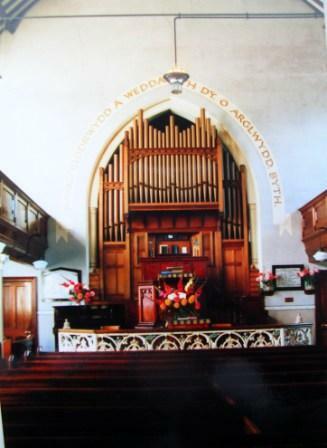 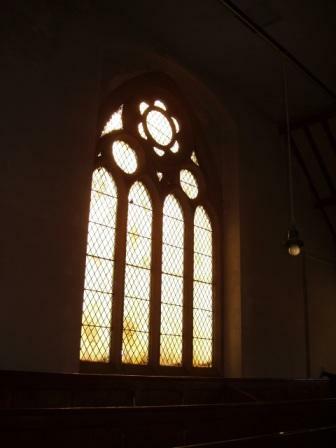 Can anyone shed more light on this church or any of the other churches in Brymbo? 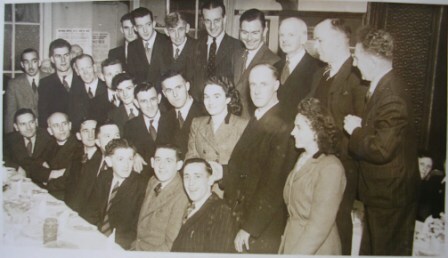 Please email me at brymbolad@hotmail.com. 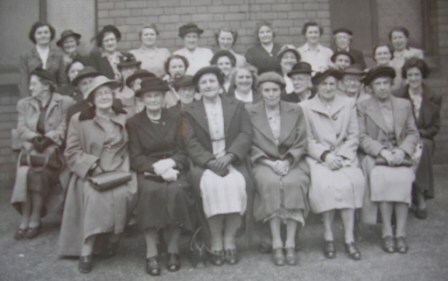 Lady Member's of Engedi Chapel Brymbo. 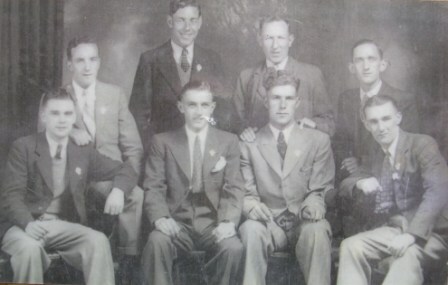 Men members of Engedi Chapel. 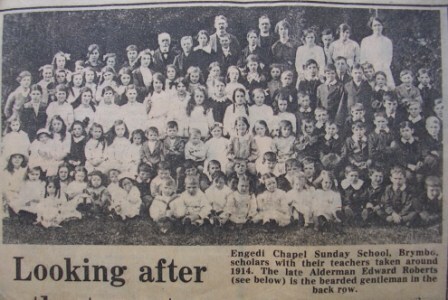 Some of the Engedi Members. 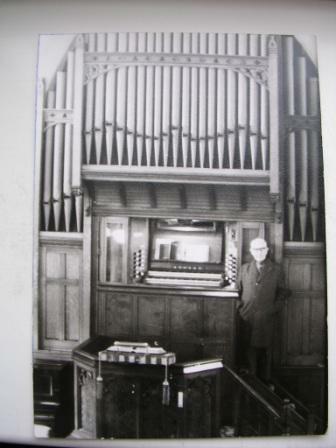 Teddy Jones at side of organ Engedi Chapel Highstreet Brymbo. 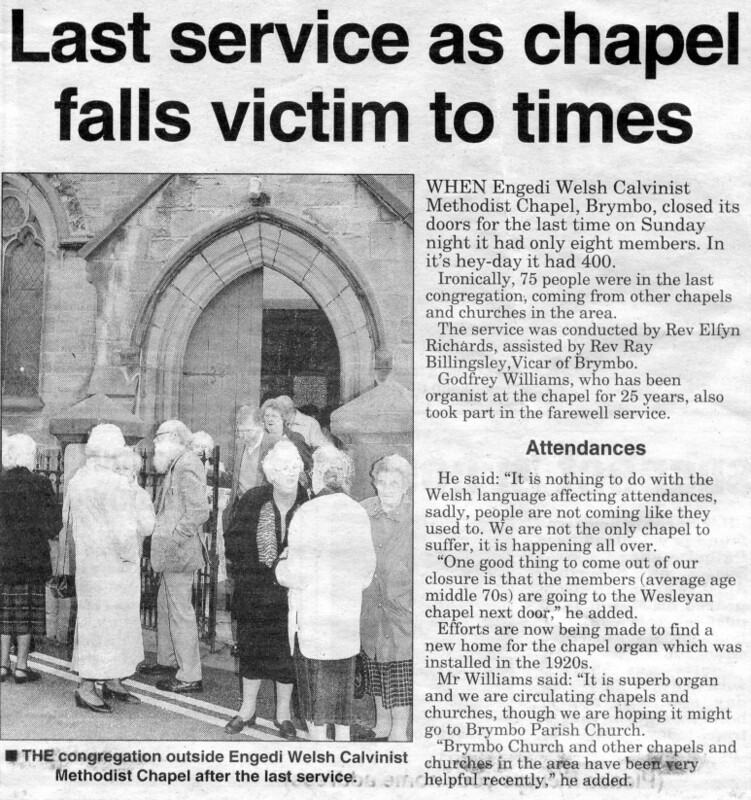 Inside Engedi Chapel Brymbo 1960s. 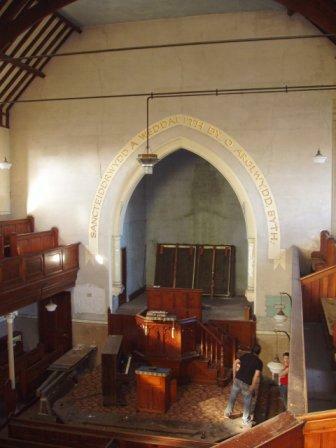 In April 2007, the auctioneers Seth Hughes had an open viewing of Engedi Chapel. 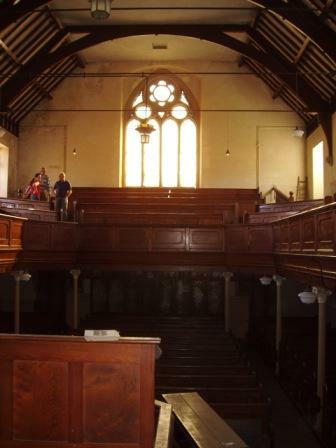 Thanks to Susan B, here are 3 pictures of the inside of the church as it is today after closing.